Did you know that 90% of people now access information by using a search engine? And did you know that 80% of those never look past the first page of results? If you want your online business to thrive, therefore, you need to be online and you need to be on that first page. 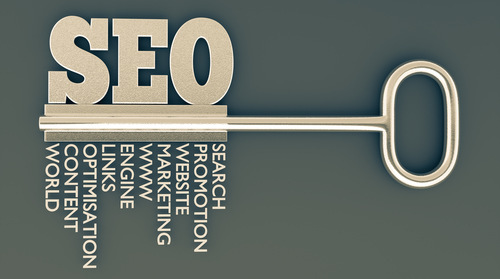 That is what SEO (search engine optimization) is all about. Placing link to your website on other high ranking sites. Improving your content so that it includes all relevant and important keywords. Being compliant with the search engine terms of service and best practices at all times. If you are looking for a good SEO company, you may find that you are slightly overwhelmed by the possibilities out there. What you have to find is a company that achieves result through legitimate, ‘white hat’ practices, instead of illegal ‘black hat’ practices that may work for a short period of time but will only get your site barred in the long run. Good SEO companies have seven traits in common that you should look for. They don’t use junk or spam email advertisement methods. If you see a message in your spam inbox from an SEO company, they are no good. They don’t make you dependent on advertising. While advertising is important, having a great strategy in place is far more important. In fact, you should see your advertising budget reduced by up to 80% and you should never be asked to buy loads of ads. They rank highly on Google and other search engines. This should be obvious: if they can’t rank themselves, they will never rank you either. They have open and transparent tactics and strategies for you. You may not be able to understand all the work that they do for you, it should still be presented openly and in plain English. They are endorsed by trade associations. The Better Business Bureau is perhaps the most important one of these, as there are no regulating bodies for SEO yet. However, there is an unwritten code of ethics between SEO companies and the one you are considering should sign up to that. They should focus on local SEO. This is something that is becoming increasingly important. While the internet is global, the bulk of your SEO services should be local, as you are likely to offer services mainly to your local geographical area. They do not ask you to link back to them. If they expect this, then they are obviously struggling with their own SEO work. Hopefully, this will help you to find the best SEO company for your particular needs and you will find yourself on the first page of Google.